Topics: Services, Pictures, Events, Portfolio, Store, and Unsubscribe. 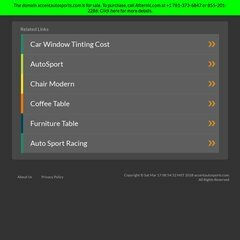 accentautosports.com Accent of Stockbridge Georgia - Window Tint, Alarms, Stereo, etc. accentautosports.com Stockbridge Window Tint, Alarms, Stereo, etc. There are 5 DNS records, such as dns3.mmvsolutions.com, dns4.mmvsolutions.com, and dns5.mmvsolutions.com. It is hosted by Fdcservers.net (Illinois, Chicago,) using Apache/2 web server. The programming language environment is PHP/5.2.10. PING www. (76.73.74.204) 56(84) bytes of data.